The mass brawl broke out between Thursday and Friday in the Colosseum nightclub where UK rapper “Sneakbo” was performing a concert in the Swedish capital. 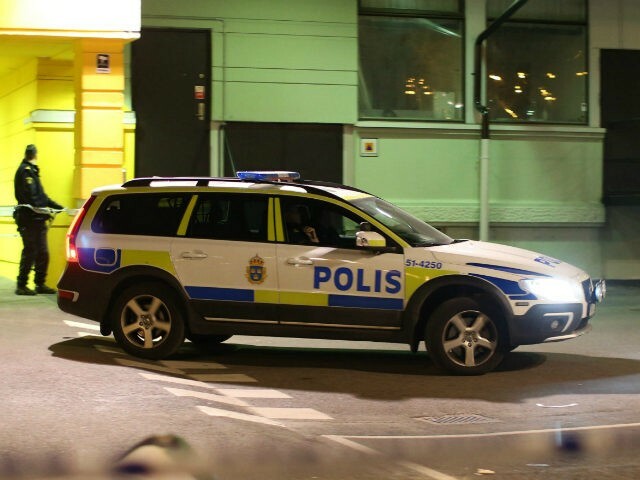 Police say a pair of officers arrived on the scene and were dragged from their police car by members of the mob who then stole the car which was recovered a short time later, Afton Bladet reports. According to police, at least 40 people were involved in the riot which broke out at around midnight but authorities have not commented as to the cause of the violence. Security guards are said to have alerted police and at least one man has been arrested for various offences including assault on a police officer, rioting, minor drug offences, and other counts of assault. “There were many young people who drove around in the area. It was messy, both inside the restaurant and outside. It was going back and forth,” he added. The UK rapper who headlined the event, known as “Sneakbo”, is also no stranger to the police. Sneakbo, real name Agassi Babatunde Odusina, has been arrested and tried for threatening to kill a woman and her two children in 2011 but was spared prison time by a judge who thought it may harm Odusina’s music career. The attack is the latest incident of violence toward police officers in Sweden which is facing a crisis as more and more police are considering other forms of work. A report claimed that up to 80 per cent of the police force in Sweden were looking at different careers. Even the ambulance service in Sweden is requesting military defence gear in order to perform their duty in the various No Go Zones in Swedish cities. Head of the ambulance driver’s union Gordon Grattidge said paramedics are routinely forced to leave various no go areas or risk being attacked by the residents, many of whom come from migrant backgrounds.